Wentworth Consultancy are marketing communications and project management specialists. 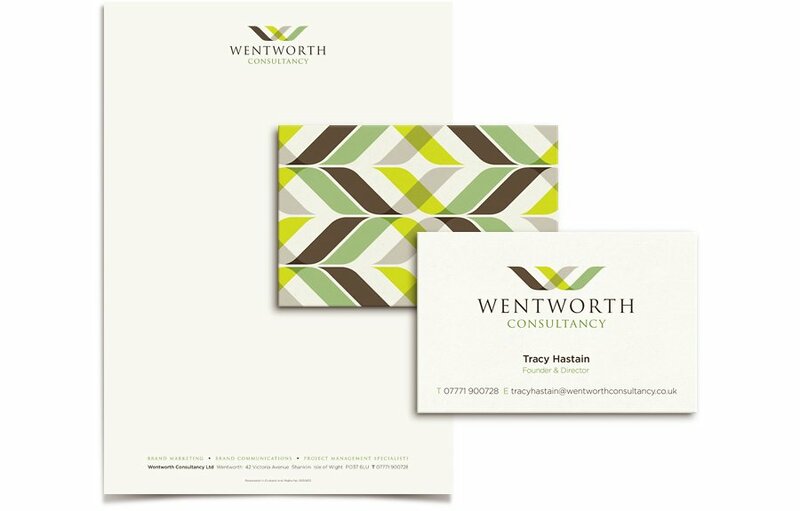 We produced the Wentworth Consultancy logo design and stationery design to launch them into the marketplace. The overlayed ‘w’ icon symbolises collaboration, integration and direction. We created a repeat pattern of the icon to appear as a decorative element on the reverse of their business cards. The stationery is printed on a crisp, slightly textured Mohawk paper stock. Corporate stationery designs. Double sided business cards were printed on duplex card to give added rigidity for a strong first impression.